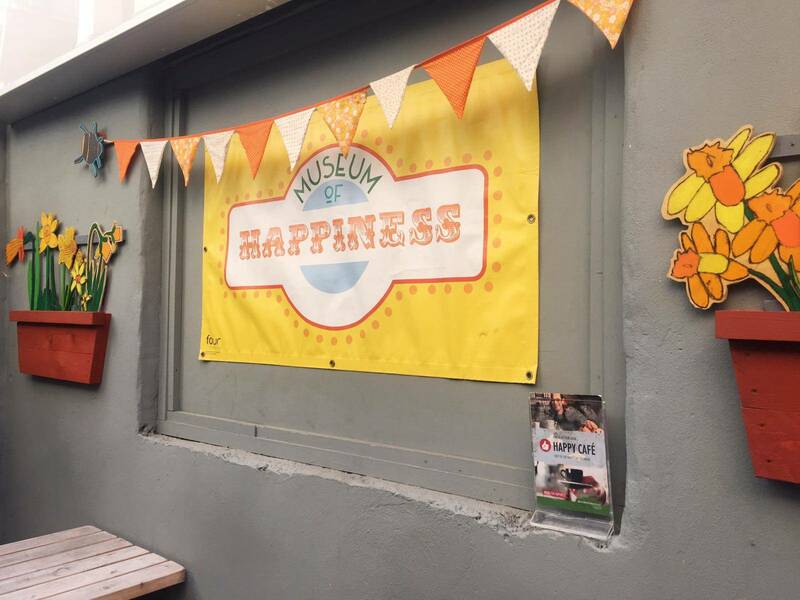 The Museum of Happiness (previously a string of short term pop-ups around London) has found a permanent home at the Canvas Cafe, and is open for 4 weeks for a “Winter Happiness Festival”, running for 4 weeks until around the 19th February 2017. 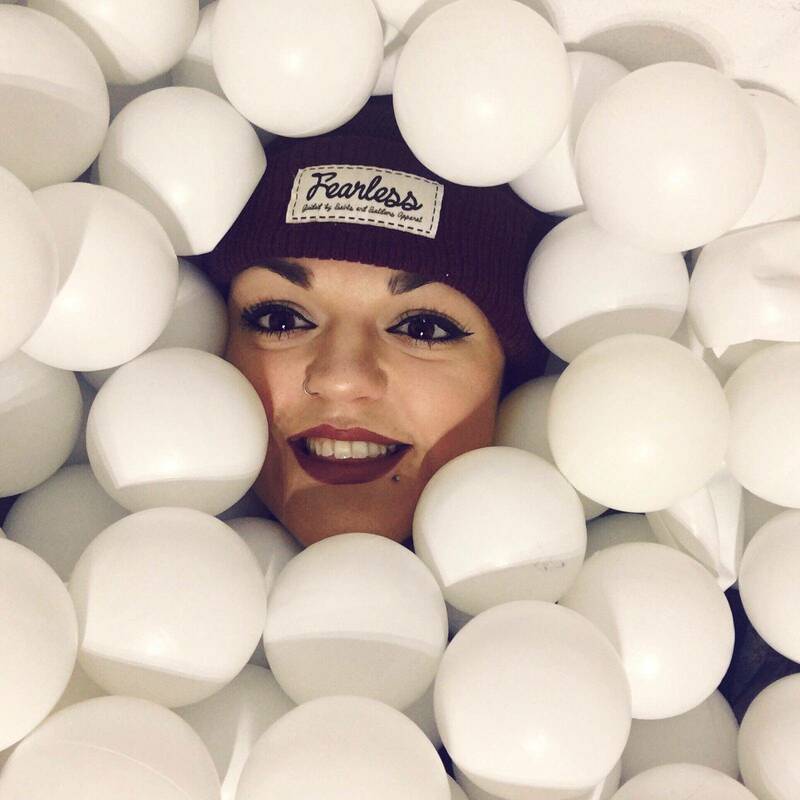 Not even a tiny bit like your typical museum, this museum (which is one large room) has white walls which visitors are encouraged to draw all over, and the whole purpose of the “museum” is to have fun, and be happy – this is where you can take a dip in a white ball pool that takes up almost half of the room. I went along with my friend Kelsey to work up an appetite before we tried the Canvas Cafe’s Vegan Freakshake. Swimming (?) 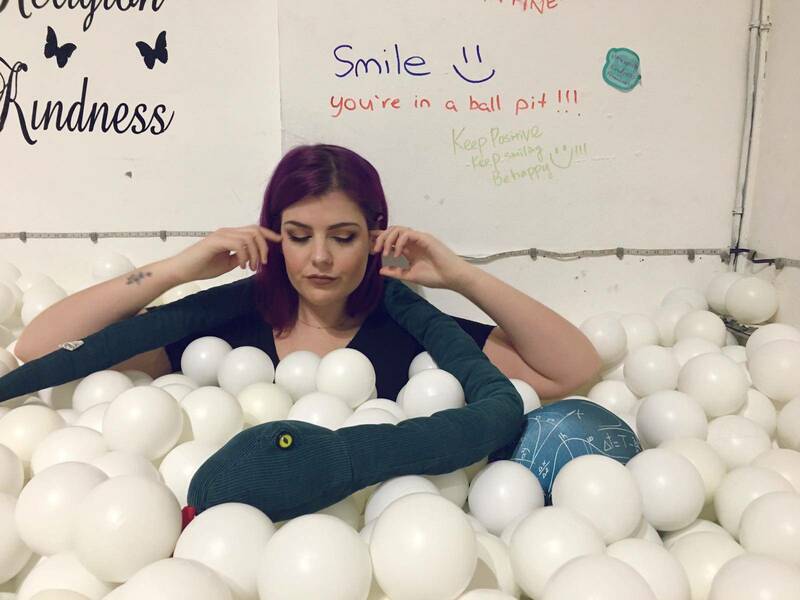 around in the ball pool was just as fun as I remember it being when I was mini, lots of giggles, and actually quite relaxing. 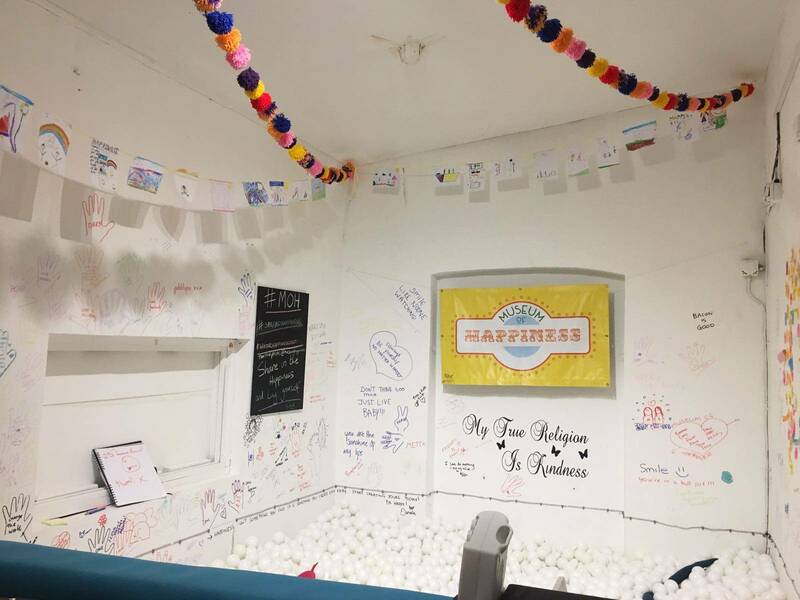 As well as the ball pool, there is also an old school record player playing the best of Earth, Wind & Fire (perfect music for hanging out in a ball pool), and lots of colourful homemade displays on the walls, featuring inspiring words. 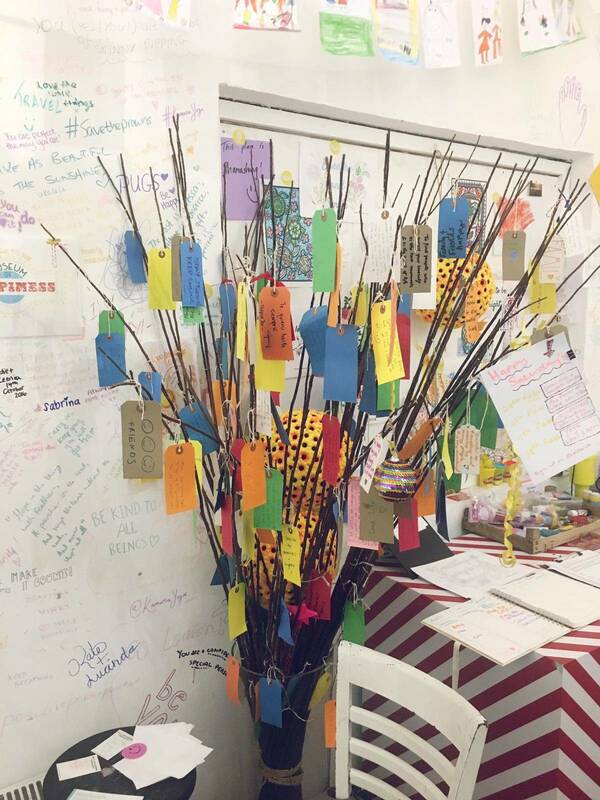 There’s also a ‘Gratitude Tree’, a ‘Letting Go’ bin, and a place to do some mindful colouring in, all very sweet. Alongside all of this there is a program of workshop sessions that take place downstairs in the basement of the Canvas Cafe. 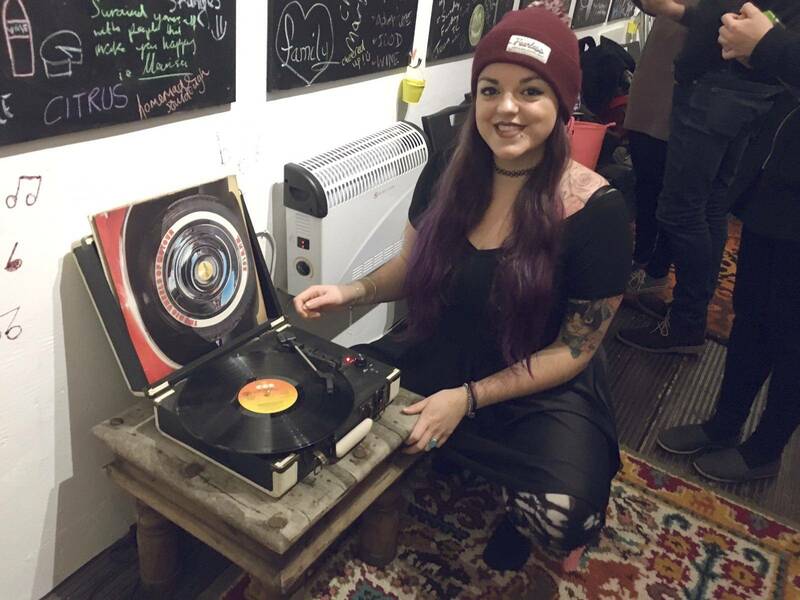 The workshop sessions include laughter yoga, mindfulness, singing and positive psychology classes. 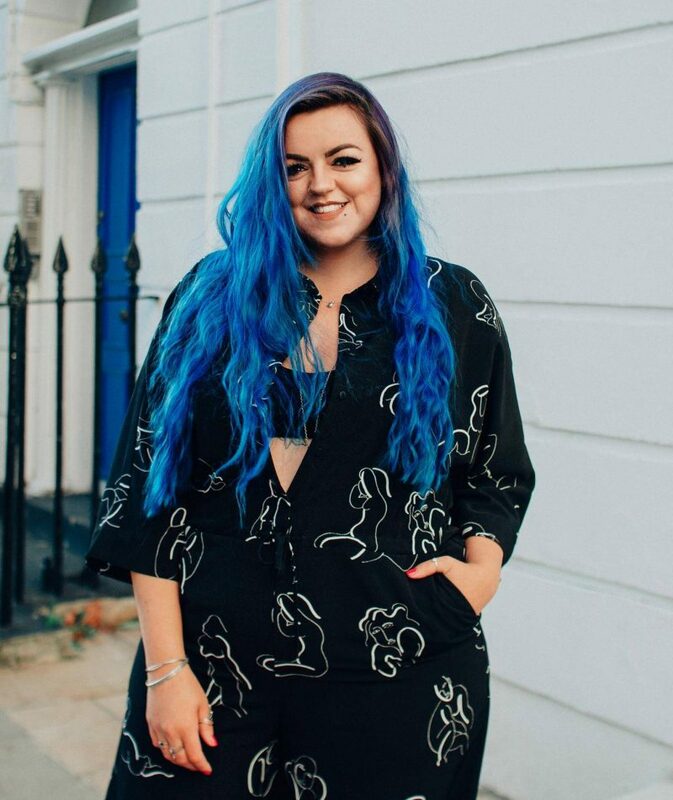 Basically very colourful, very hippy and all about being as happy and content as possible. I loved it. 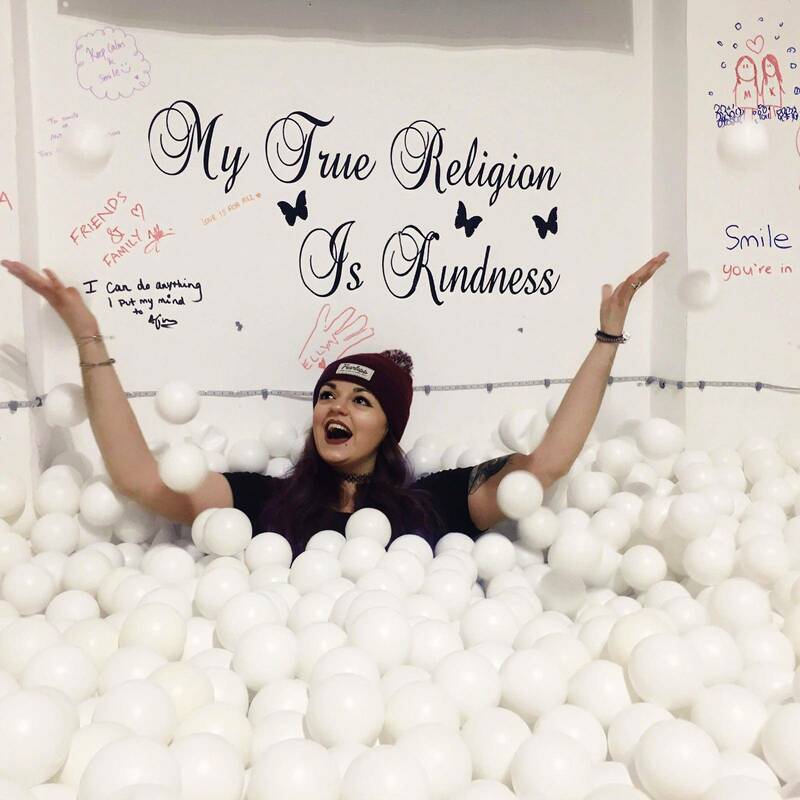 Tickets for the Museum of Happiness are £5.90 and available here. But be quick, I don’t think there are many tickets left! The talks and workshops are on a donation basis – but as far as I’m aware, you have to book on the website. 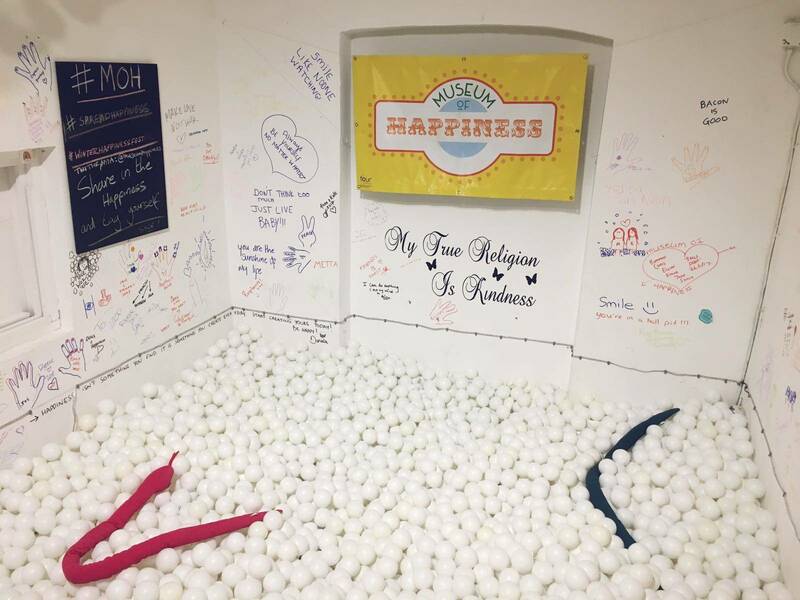 If you want to know a little more about the Museum of Happiness, check out their website here, or their promo video on YouTube here. 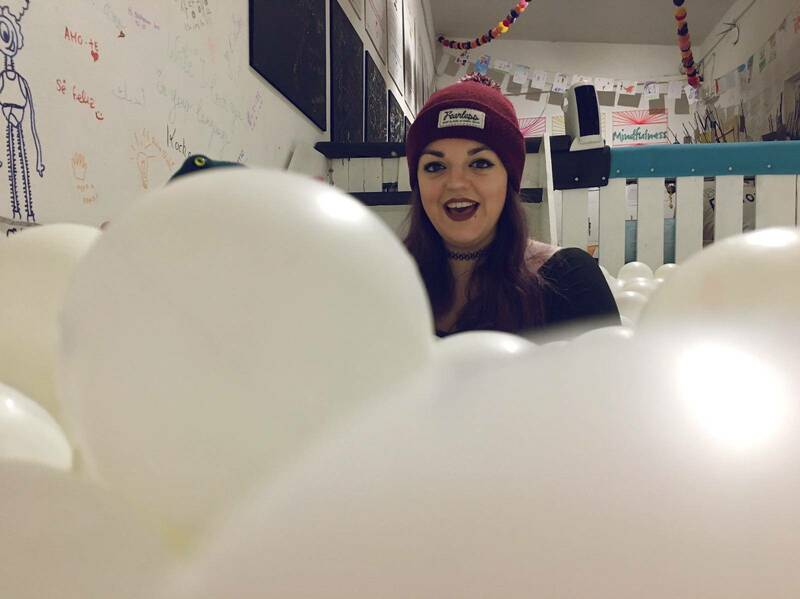 If you enjoyed this blog, why not check out what I thought of my first Vegan Freakshake (also at the Canvas Cafe), or the time I went pop-up painting with Yelp! 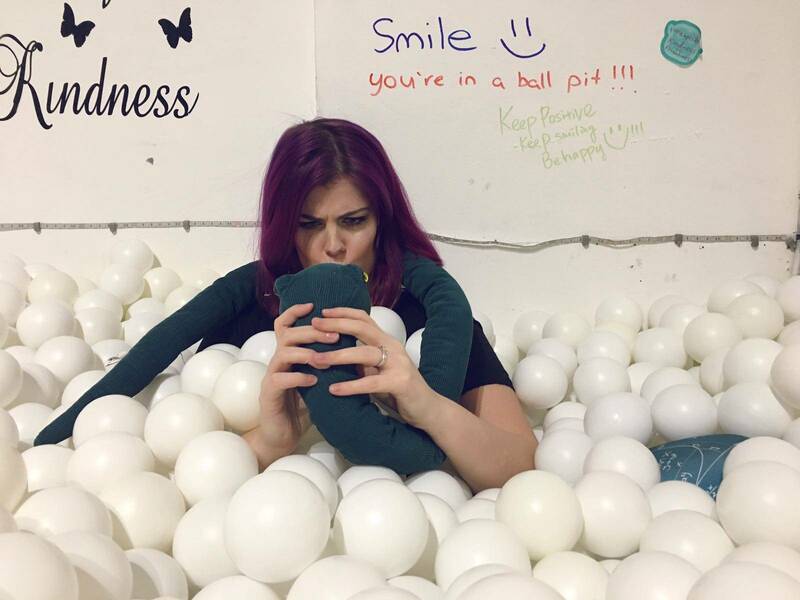 This looks like so much fun!!! 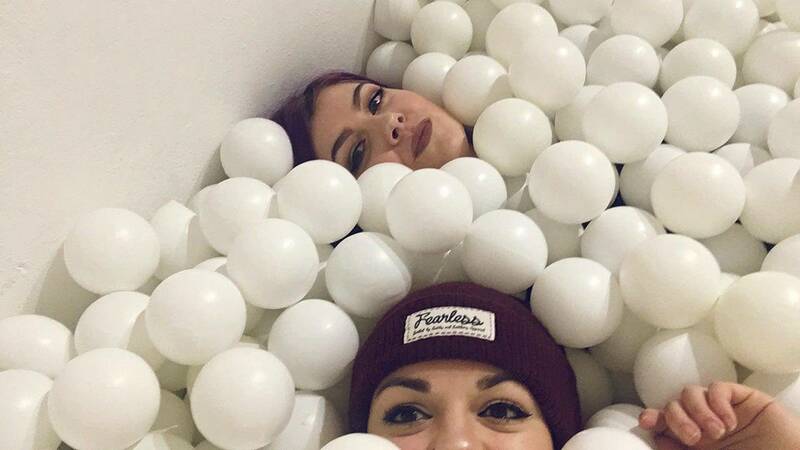 I am definitely going to jump in this ball pool next time I am in London! 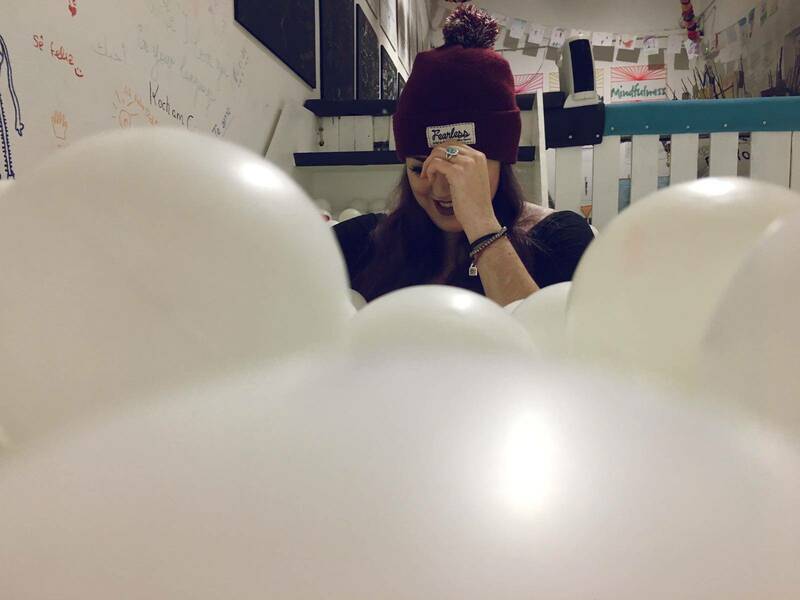 LOVE the fun popping out of your pictures! Oh hey! Thanks so much, we did have SO much fun!! 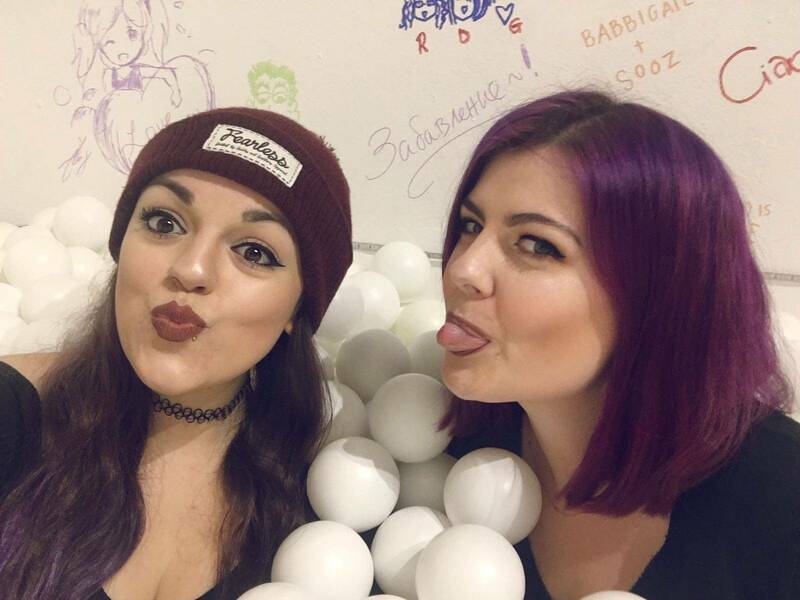 I’m not 100% sure it’s on currently, however there are several places in London that have ball pits you can play around in! Worth a google before your next trip down.